In 1971, Borders Books began as a small, used bookstore in downtown Ann Arbor. Over the years, the hometown operation outgrew several new storefronts until it landed in its grand, two-story building on Liberty and Maynard Streets. It soon became both the largest retail business in downtown Ann Arbor and the first book superstore as it spread across the globe. But as many book lovers know Borders locations everywhere closed their doors in 2011—including our hometown headquarters. And the book superstore wasn’t the only one suffering; online sales and larger corporations crippled independent bookstores all over the country. But in 2013, despite losing Borders and other beloved shops, our little book-loving community saw the opening of two new independent bookstores. And today, Ann Arbor is celebrated as one of the last remaining towns where independent bookstores are alive and well. We rounded up the local storefronts and businesses where you can help support independent bookstores. And while you’re shopping, you may also find your new favorite book, a cozy atmosphere and a local community of book lovers just like you. Crazy Wisdom has been locally owned and independent since 1982, and they’re still going strong today as Ann Arbor’s headquarters for books on specialized topics like holistic health, psychology, Buddhism, spiritual development, consciousness and more. With over 200 book categories total, an inventory of other goods, and a tea room where you can enjoy a full English tea, you’ll find plenty of excuses to hang out in this cozy downtown shop. This local bookshop has been selling used and rare books for twenty-two years in Ann Arbor. Over the years, they transformed from a tiny basement store into a huge storefront offering more than 70,000 titles. 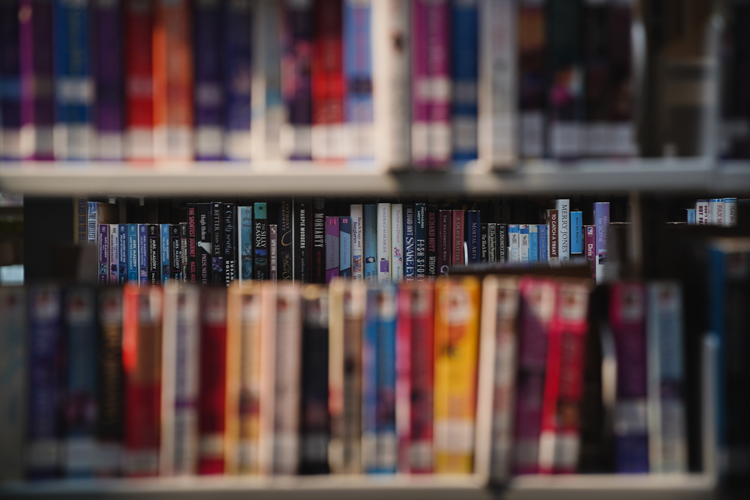 And though they specialize in rare and antiquarian collections, shoppers can find everything from recent paperback releases to incunabula that dates all the way back to the 1500s. The Friends of the Ann Arbor Public Library was formed in 1953 and has since been the driving force for expansion of the Ann Arbor District Library and its programs. In 1954, they hosted their first fundraiser selling books, records, picture frames, baked goods and flowers, and they raised $348. Today, their shop brings in more than $100,000 per year to aid the library. You can shop the book shop at the Downtown Library and find thousands of gently used titles sold at prices as low as 50 cents. When Borders closed its doors all over the country, Hilary and Mike Gustafson were inspired to move back to their home state and open Literati Bookstore as a book-lovers haven in downtown Ann Arbor. On the store’s lower level, they set out an old typewriter and invited anyone and everyone to type a note on it. Over the years, they accumulated thousands of love notes, poems, sentences and salutations. Published in 2018, “Notes From A Public Typewriter” compiles some of their favorites alongside essays, photos and more. In addition to their public typewriter, their huge inventory of books and their friendly staff, they have a full-service coffee shop upstairs! Motte & Bailey is a type of medieval Norman castle and the name of this local bookstore was chosen to reflect the team’s interest in books that concern all the various aspects of history. 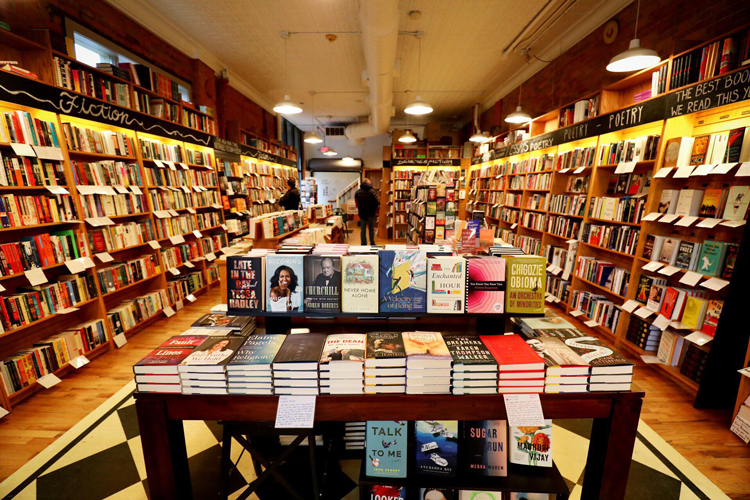 They opened their original storefront in 2000, moved into their current one in 2006, and have become notable in town for their huge inventory of books, their history-focused reading groups, and their great book deals. Speaking of which, you can take advantage of the “buy three and get a deal” offer every day. For more information, check out the website here. Nicola’s is a bookstore for everyone with everything and every title you could dream of. That’s because this premier independent bookstore specializes in book searches—especially if your dream book is out of print or hard to find. In addition to this unique skill, they also offer an inventory of bestsellers, new releases, classics, children’s book and more. This locally-owned, specialized bookstore focuses on traditional and current Catholic books, Bibles, gifts, inspirational art and media. From Roman Catholic study books to uplifting DVDs and even special-occasion gifts for baptism, first communion and confirmation, their staff and inventory can help you regarding all your faith-based needs. 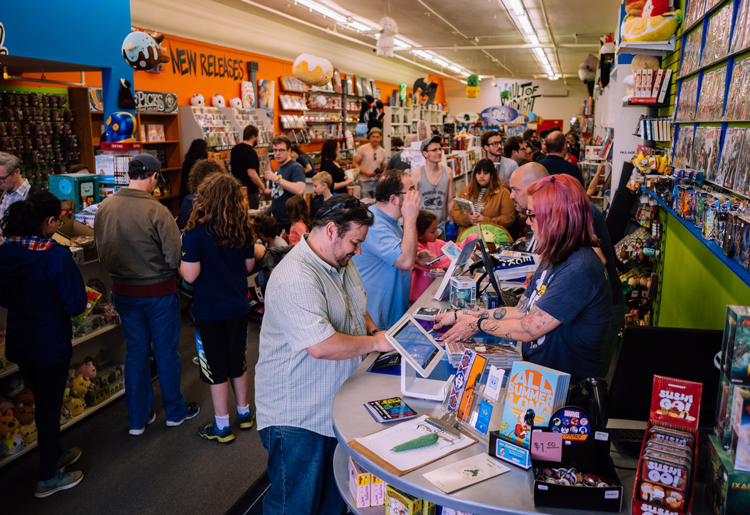 As the headquarters of comic book lore in Michigan, Vault of Midnight has three locations: their flagship store in Ann Arbor which opened in 1996, their second in Grand Rapids and a third in Detroit. Inside and online, you can get access to comic book subscription services, special orders, the book of the month, special events, education, merchandise and so much more. Originally opened in 1975, West Side Book Shop has been a member of the Antiquarian Booksellers Association of America since 1980. As such, the shop specializes in antiquarian material with a strong focus on adventure and exploration. 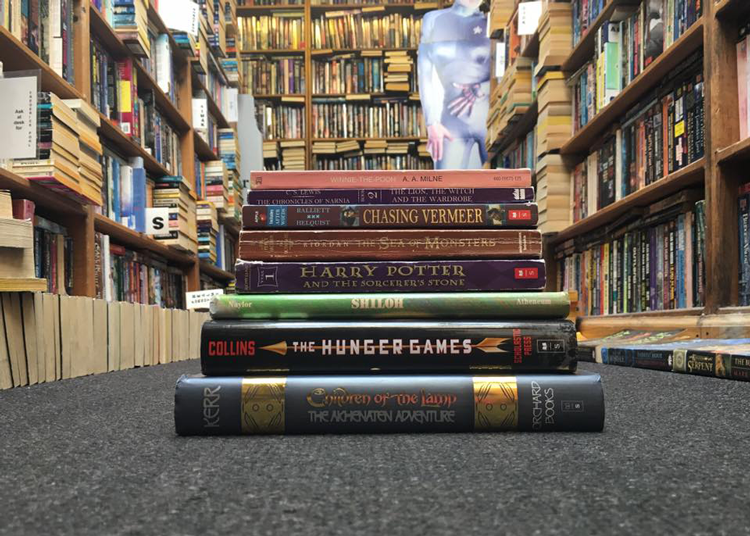 Stop in to fuel your own adventure and you may stumble upon a rare find or a modern first edition. You can find more local businesses, like Aunt Agatha’s and Garrett Scott, Bookseller, operating online where they offer online inventory and other book services.